Every day we are exposed to potentially hazardous chemicals we can’t see —chemicals used in everything from the clothes we wear to the lotions we use and even the couch we sit on. Synthetic chemicals are used to make 96% of products in the United States. Yet scientific research continues to link chemicals in common use to health effects like cancer, infertility, and asthma. EDF selected 10 individuals across the country to wear a novel wristband technology designed to detect chemicals in their environment for one week – including Gordon, Karen, and Averi. 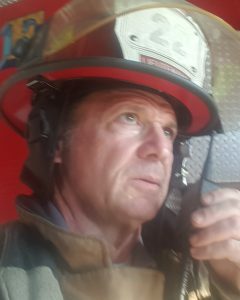 Gordon is a lieutenant for the Memphis Fire Department. Gordon’s wristband detected 16 chemicals, including gamma-chlordane, a pesticide that has been banned in the U.S. since the 1980s, and 3,4-dichlorophenyl isocyanate, a “chemical intermediate,” which is reportedly used exclusively for chemical manufacturing processes. While there were no fires to fight the week he wore the wristband, Gordon wondered if he came into contact with these chemicals from a site visit to a location that formerly housed chemical stockpiles, his local auto repair shop, the nearby highway – or even his fire suit. 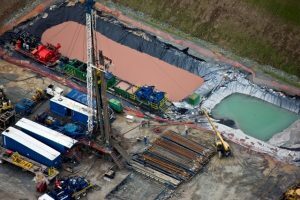 Today marks exactly a month since what is now said to be 10,000 gallons of “crude MCHM” – mixed with what was later found to have included other chemicals – spilled into West Virginia’s Elk River, contaminated 1,700 miles of piping in the water distribution system for nine counties, and disrupted the lives of hundreds of thousands of the state’s residents. Despite declining levels of the chemical in the water being fed into the distribution system, late this past week five area schools were closed due to detection of the distinctive licorice-like odor of MCHM and multiple reports of symptoms such as eye irritation, nausea and dizziness among students and staff. The latest sampling data (for February 7 and 8) at locations such as area fire hydrants and hospitals and at schools shows that MCHM is at non-detect levels (<10 parts per billion) in most samples, but the chemical is still being detected in a minority of the samples despite extensive flushing. Despite repeated calls to do so, officials appear to have yet to conduct any sampling of taps in residents’ homes. Today’s Charleston Gazette features the latest in a long series of outstanding front-line reports by Ken Ward, Jr., and his colleagues, who have closely followed every twist and turn of both the spill and the government’s response to it. Today’s article makes clear the extent to which federal officials were winging it in the hours and days after the spill was discovered as they rushed to set a “safe” level for MCHM in tap water. Should we be holding our breath waiting for more information on risks of the chemical spilled in West Virginia? A hearing held yesterday by the West Virginia Legislature’s Joint Legislative Oversight Commission on State Water Resources created quite a stir, when a witness – West Virginia Environmental Quality Board vice-chairman Scott Simonton – said that the human carcinogen formaldehyde had been detected in several water samples drawn from a Charleston, WV, restaurant, and that people in the area affected by the January 9 spill could be expected to have inhaled the chemical, which he identified as a likely breakdown product of the spilled material, crude MCHM. See stories in the Charleston Gazette and USA Today. State officials and the West Virginia American Water company were quick to call Simonton’s claims “unfounded” and “misleading and irresponsible,” respectively. The controversy led even the American Chemistry Council – which has laid low ever since the spill – to quickly issue its first statement related to the spill through its Formaldehyde Panel. While experts are noting that data are insufficient to identify the spill as the source of any formaldehyde detected in the water samples, this new kerfuffle does point to yet another major data gap on crude MCHM. The one part-per-million (1 ppm) “safe” level state and federal officials set was based on limited data from studies in which rats were exposed to crude or pure MCHM through oral ingestion. Absolutely no data are available on the chemical with respect to exposure through inhalation. Yet officials did not hesitate to tell residents the 1 ppm level would be safe not only for drinking the water, but also for bathing and showering. Clearly the material that spilled is volatile – that’s why people can smell it. Taking a hot shower in such water means that people would clearly be exposed via inhalation of the vapor; how much exposure would occur has not been ascertained. But in the absence of any data as to toxicity of the chemical via inhalation, there is simply no scientific basis on which to say or imply that showering in water contaminated at 1 ppm level was OK. Chemicals can be more or less toxic by inhalation than by ingestion, with one study finding inhalation to be the more toxic route for half of the chemicals examined and oral ingestion to be the more toxic route for the other half. Benzene, for example, is estimated to be several hundred times more toxic by inhalation than by ingestion, while inhalation of chloroform is estimated to be about 25-fold lower in toxicity than it is by ingestion. What such comparisons indicate is that extrapolating from data on oral toxicity to predict inhalation toxicity – which is effectively what government officials did in this case – is about as accurate as flipping a coin.